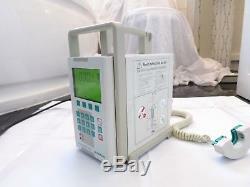 B BRAUN INFUSOMAT FMS COMPACT VOLUMETRIC INFUSION PUMP. 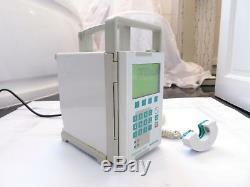 The Infusomat® fmS is a compact volumetric peristaltic infusion pump. The unit is operated via a membrane keyboard. Two control LEDs display alarms, and the running of the infusion pump. The Infusomat® fmS can be operated with the Original Infusomat® Line (OIL) and the Infusomat® Space Line. The lines are distinguished by the different silicone pump segments. Large display to provide the most important parameters at one glance. Ergonomic user interface for easy adjustments. Flow clamp prevents "free flow" when the pump door is opened. Air detector minimizes the risk of air infusion. 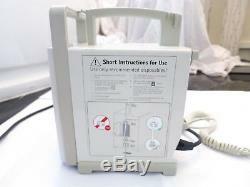 Adjustable pressure limits result in shorter time to alarm in the event of an occlusion. 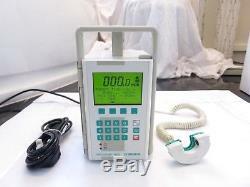 The item "B BRAUN INFUSOMAT FMS COMPACT VOLUMETRIC PERISTALTIC INFUSION DROP SENSOR PUMP" is in sale since Saturday, April 21, 2018. 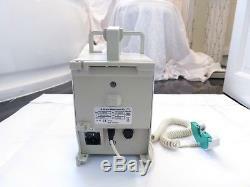 This item is in the category "Business, Office & Industrial\Healthcare, Lab & Dental\Medical & Lab Equipment, Devices\Medical & Lab Pumps".